The work done by Two Trees would not be possible without the love, support, work, and contributions of so many people in our large tiospaye. 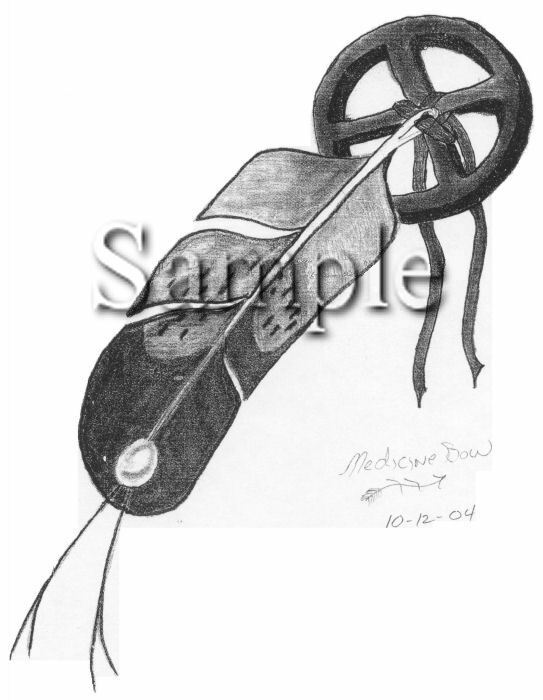 At the Allenwood Federal Penitentiary, for example, a group of American Indian inmates each ran, walked or wheeled seven miles to honor Lakota before making Lakota Rose Sobriety bracelets used in the wellbriety movement through the White Bison organization. 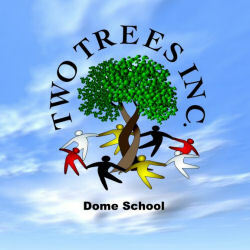 The items in this store were donated to Two Trees Inc. by members of its family to raise funds for the organization and its projects. 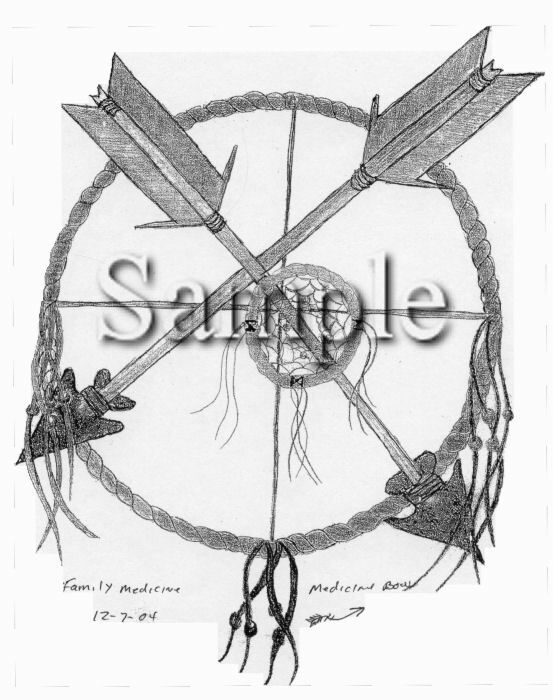 Some items are offered at the cost of reproduction in order to be used to further the vision of Lakota Rose Madison. Click image to enlarge. 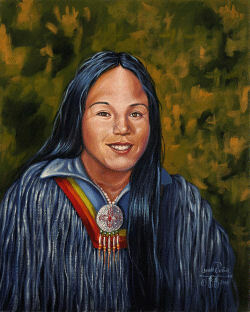 While incarcerated at USP Lewisburg, Leonard Peltier painted this portrait of Lakota Rose Madison and donated it to Two Trees Inc. to further her vision. All canvas reproductions are properly sealed with a protective coating. Prints are on Archival 100% cotton linen rag paper and treated so they will not smear or yellow with age. Click image to enlarge. 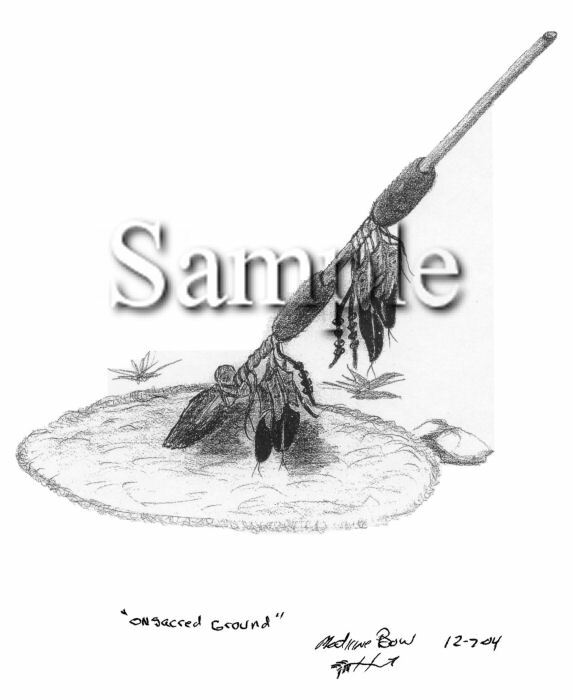 While incarcerated at USP Lewisburg, William Gouveia drew this portrait of Sitting Bull and donated it to Two Trees to further its work with the Lakota Rose Madison Initiative. Print reproductions are on Archival 100% cotton linen rag paper and treated so they will not smear or yellow with age. 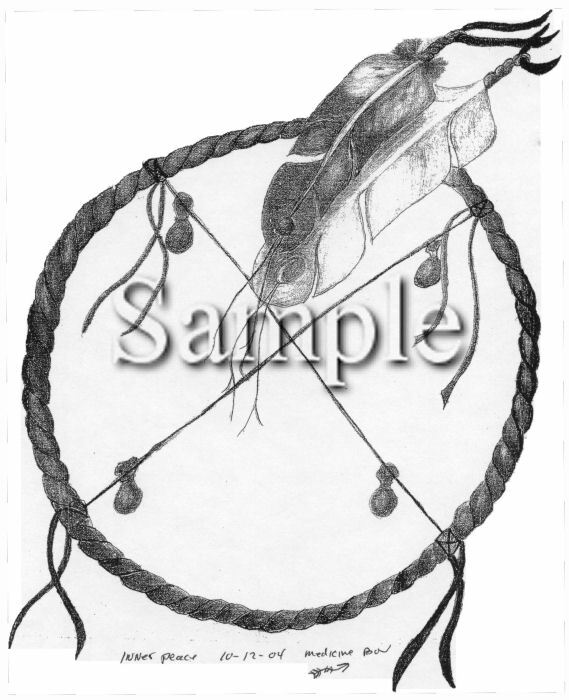 Leon Briggs created this beautiful set of drawings based on Native American themes. Leon is a spiritual leader who supports the work of Two Trees by donating his time and resources to the vision of Lakota Rose Madison. He is also a blacksmith and owner of Medicine Bow Forge. These reproductions are suitable for framing. Spiritual Leader Leon Briggs has created and recorded this wonderful CD of natural sounds, Native stories and songs from the Seneca, Iroquois, Cree and Tutelo nations as a way of bringing spiritual healing and wellbriety to all people. It is dedicated to the memory of Lakota Rose Madison with all proceeds from sales going to support her vision. The CD includes: Direction Song, Recreation, Blood Moon, The Strawberries, Recalling the Elders, How the Chipmunk Got His Stripes, Warriors Song, and Maple Syrup Moon. 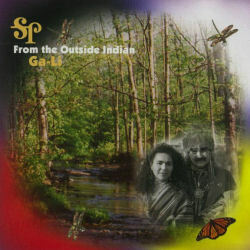 From the Outside Indian is a sampling of the songs, stories and poetry of Raymond Two Crows Wallen (Tali Kogi) and Alicia Pagan, known collectively as GA-LI. Compelling, provocative and often hauntingly beautiful, this diverse compilation was nominated for a Native American Music Award in 2005. Limited copies of this CD were donated by Ga-Li with a Wado (Cherokee thanks) to raise funds for Lakota Rose Madison Initiative projects. Stones are the original material of our Mother Earth and they carry the knowledge of the universe. 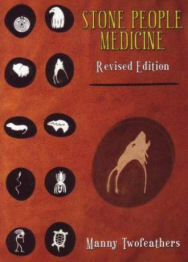 Stone People Medicine by Manny Twofeathers (Lakota Rose Madison's adopted grandfather) shares that knowledge with those willing to learn, listen and put it into practice. Limited copies of this book were donated by Wopila Publishing to raise funds for Lakota Rose Madison Initiative projects. 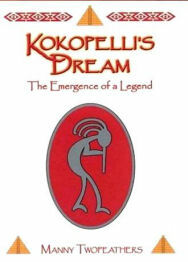 Manny Twofeathers had a vision to tell of Kokopelli's journey, through his eyes, as it may have been. This book is for adults only, as there are several explicit sexual situations mentioned, but it also touches on many spiritual themes. The lessons he offers can be used to better your life. Limited copies of this book were donated by Wopila Publishing to raise funds for Lakota Rose Madison Initiative projects. Walk For Justice is Harry "Goodwolf" Kindness' account of his walk across America to raise awareness of the treatment of Native Americans. 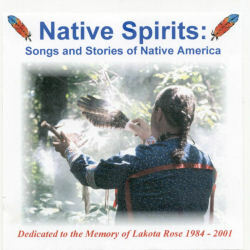 Limited copies of this book were donated by Wopila Publishing to raise funds for Lakota Rose Madison Initiative projects. 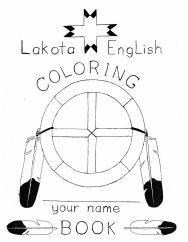 While incarcerated at USP Lewisburg, Frank Bettelyoun created this Lakota/English coloring book for children in honor of Lakota Rose Madison. Each page has English and Lakota words for objects, people and animals. These books are being offered at the cost of reproduction. 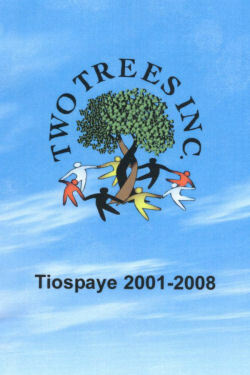 Tiospaye 2001-2008 is a two-disk set of videos made over the years of Two Trees' existence. Among the nineteen videos is Tatanka Wijnyan, a documentary on the life and tragic death of Lakota Rose Madison. The Spring Trip videos document four years of service trips to the Standing Rock reservation. The various dome videos examine training, planning and initial construction of the Little Eagle Community Center honoring Lakota Rose Madison's vision. The Mural project is a short piece on a project initiated by Ga-Li. Other videos include Dance for Life and Agatha Holy Bull, tributes to Manny Twofeathers and Agatha Holy Bull. The DVD set also includes information on Two Trees. This set is being offered at the cost of reproduction. Tatanka Wijnyan, a video on the life and tragic death of Lakota Rose Madison, is available for the cost of reproduction and shipping to individuals and groups who will use it to help youth and build healthy communities. Dome School looks at a weekend gathering of people from around the country including six members of the Standing Rock Indian Reservation for a hands-on workshop on how to build a geodesic dome. The event took place at Natural Spaces Domes, the architectural firm for the first Lakota Rose Madison Peace Place in Little Eagle, South Dakota. 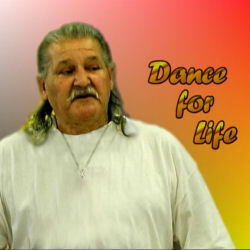 Dance for Life is a fundraising video for Manny Twofeathers, Lakota Rose Madison's adopted grandfather who passed away in June of 2007. 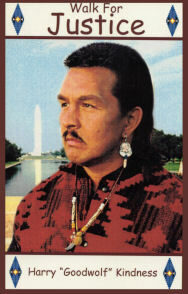 In the video, some of Manny's friends talk about him after a healing lodge. Manny also talks with us in what turned out to be his last interview. Click image to enlarge. Carla Makes Him First is a Hunkpapa Lakota woman who makes exquisite jewelry, bead work, and quilts. 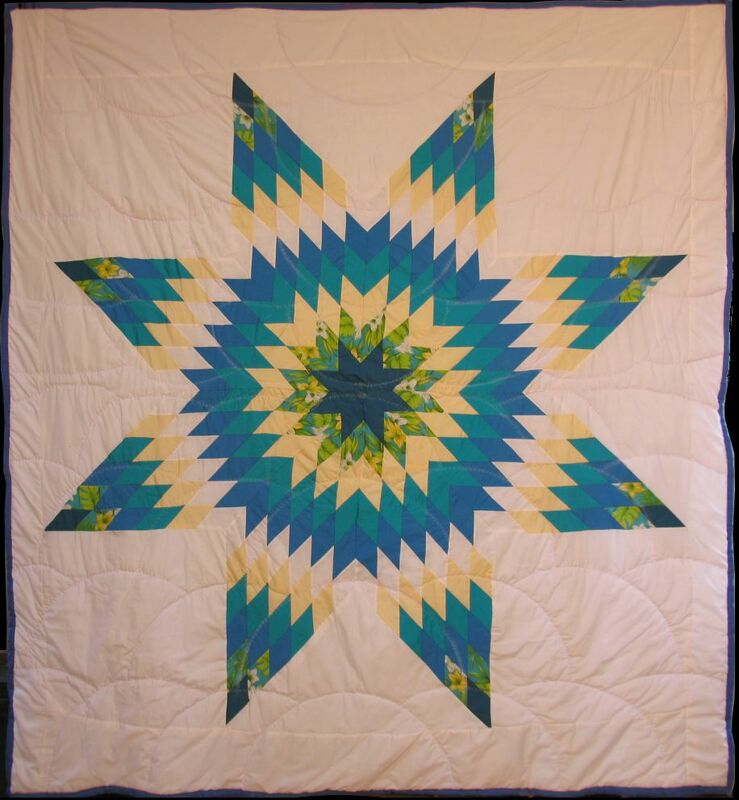 She made these beautiful hand-made Lakota Star quilts to further the work of Two Trees and the vision of Lakota Rose Madison. 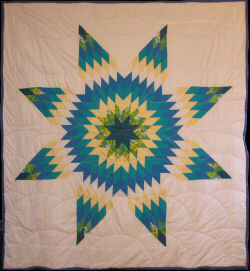 This quilt is king size with extra backing ideal for colder winter temperatures. Click image to enlarge. 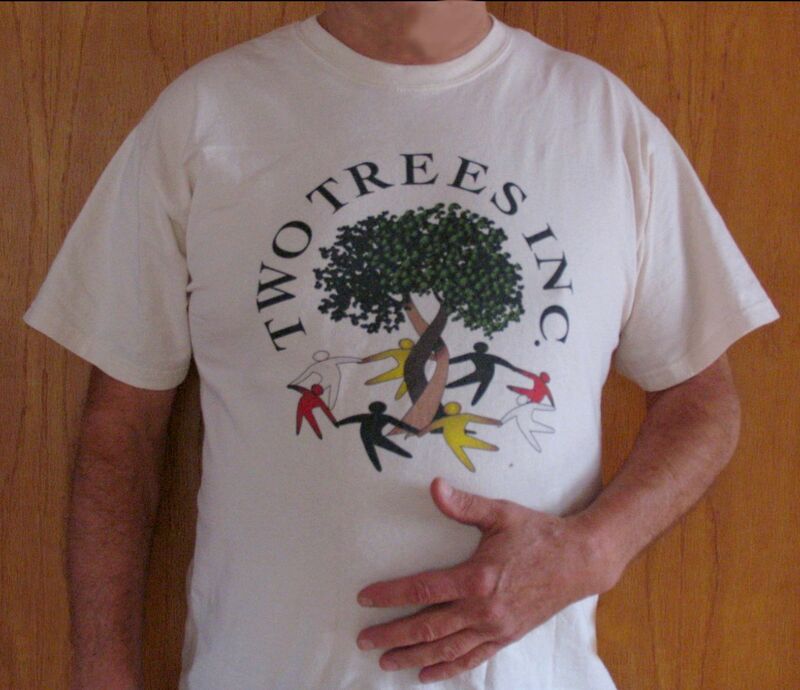 T-Shirts with the Two Trees logo on Organic Cotton. Choose a color and size. All prices include shipping. Items will be sent out as soon as checks are cleared. 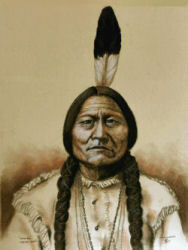 Allow 3-4 weeks delivery on canvas reproductions and framing.